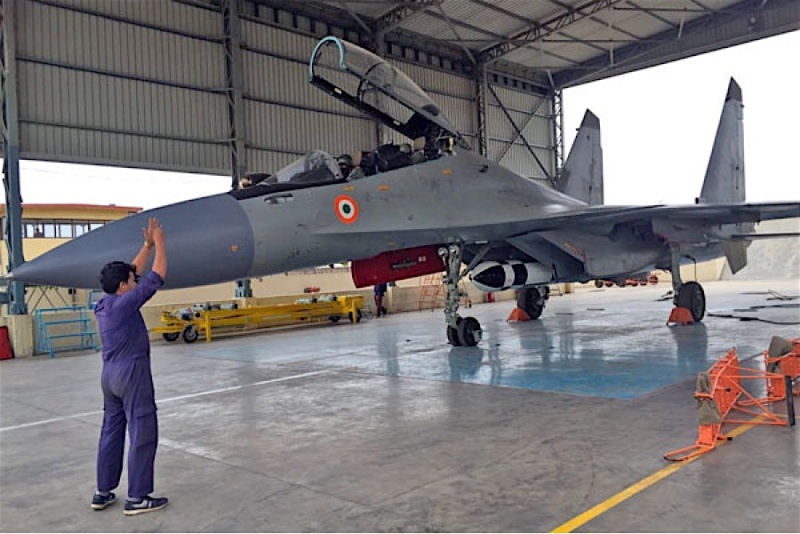 NEW DELHI, -- The first carriage flight of Su-30 MKI aircraft with BrahMos missile was successfully undertaken at HAL Airport in Nashik on Saturday, with the integration making the fighter aircraft a lethal weapon delivery platform for the Indian Air Force. It is the first time in the world that such a heavyweight (2,500 kg) supersonic cruise missile has been integrated on a fighter aircraft, according to BrahMos Aerospace Pvt Ltd (BAPL) Chief Executive Officer and Managing Director, Sudhir Kumar Mishra. The aircraft was in the air for 45 minutes and was flown by Wing Commander Prashant Nair and Wg Cdr M S Raju, both flight test crew of the Aircraft and Systems Testing Establishment, HAL said in a release here. Around 40 Su-30 MKI aircraft are expected to be modified. The maiden flight will be followed by a series of test flights and complete evaluation and certification of BrahMos missile on Su30 MKI aircraft, HAL Chairman and Managing Director T Suvarna Raju said on the occasion. “It is a perfect example of Make in India and an engineering marvel in aviation history of the country. It proves that when all agencies come together with one mission, there is nothing impossible,” Raju said. He said this programme was taken up by HAL as an indigenous challenge at its Nashik Division and the required data was generated without the assistance of OEM for the modification. The first modified aircraft was airborne in one year and the other aircraft in the second year. This was the second project where HAL presumed the role of OEM and modified the airframe of license build aircraft, he said. “The world did not believe us that we could do it and thanks to the vision of former president late A P J Abdul Kalam, we could achieve this today and history is made,” Mishra added. The Indian Air Force Sukhoi Su-30MKI fighter equipped with an air-launched version of the BrahMos supersonic cruise missile seen at HAL Nasik shortly before its first test flight.